All members of Manchester Dojo would like to congratulate our Sensei David Yates on reaching his milestone 60th birthday today. We are truly grateful for all the years David dedicated to teaching us, guiding us through gradings and making us train hard, and we look forward to many more years with him. 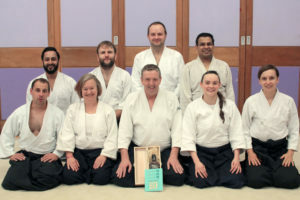 He is what makes Manchester Dojo such a special place to practise aikido.